A homestay combines the comfort and distinction of a boutique hotel with the personal hospitality and local knowledge enjoyed when staying with a family friends. Homestay provide you a clean, comfortable room (with candle or solar light), furnished in traditional Ladakhi style, local Ladakhi meals prepared hygienically, boiled spring water to drink, a clean dry compositing toilet, each room has ensuite bathroom with shower and hot water and free wi-fi facilty. 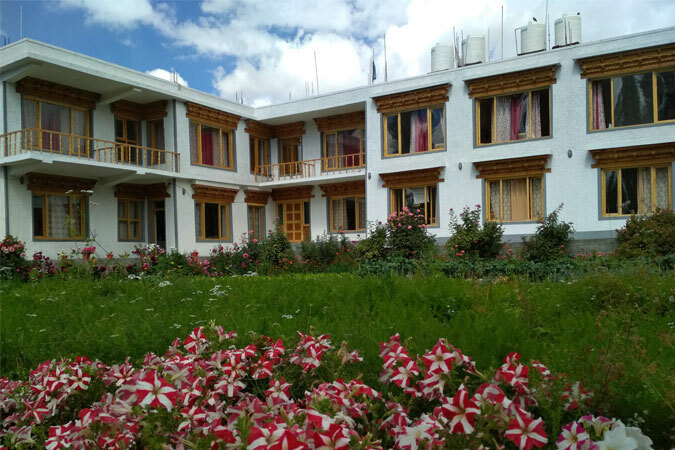 In addition there is a large dining area which serves a full range of Continental and Indian cuisines, as well as traditional Ladakhi food made from fresh organic ingredients. Stumpa homestay is run by a Ladakhi family and we will try our best to make you feel at home during your stay in Ladakh. Copyright © 2018 Leh Stumpa Guest House. All rights reserved. Design by Asiatech Inc.